It’s that time of year! The color suggestions and yardage requirements are up on the Quiltville website, and the buzz is in the air! BUT, what if you don’t want to use Bonnie’s colors? 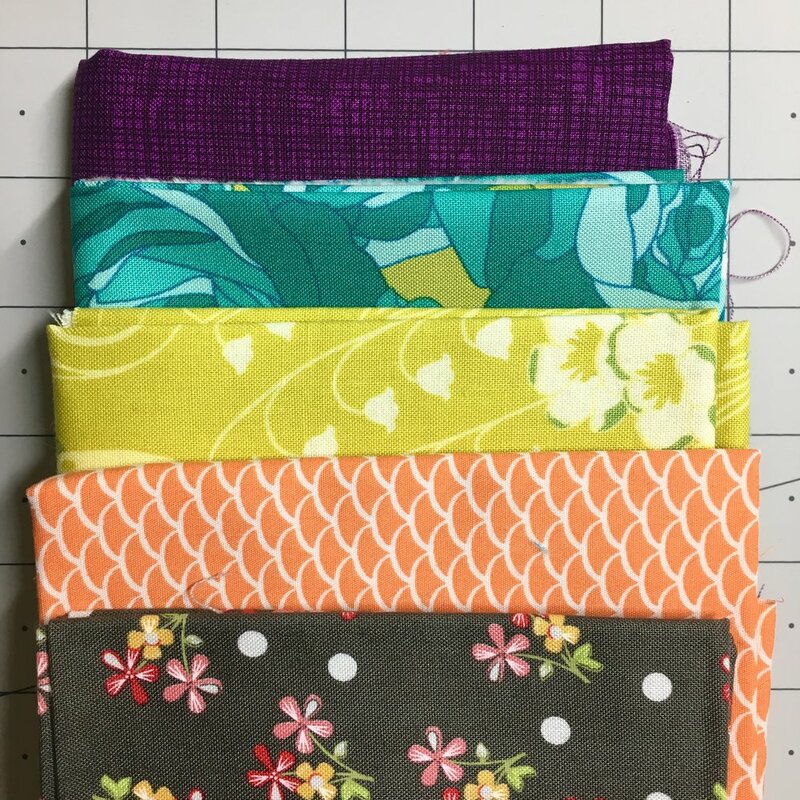 Maybe they’re not your jam, or maybe you don’t have them in your stash, or maybe you’re dead set on using that new fabric bundle, or whatever. All that to say, thinking about changing your colors? You’re in the right place! At the time of this writing (November 16th 2018), I have NOT SEEN the Mystery Quilt. It’s as much a mystery to me as it is to you! What I’m about to teach you is based on color theory and logic, not inside secrets. That means there is RISK. Changing the colors on a mystery quilt adds an extra surprise element. I don’t want you to be scared by that risk, though, I want you to be excited by it! But I also want you to know that it’s there, and that I’m operating from the same place of mystery that you are (that’s what makes this so fun!). A tip from Bonnie: Every color is able to stand next to every other color and still have excellent color contrast. To that end, in addition to making sure that every color can stand next to all the others and have sufficient contrast, I would respect the possible pairing of blue-green and red-orange. These alternate color ways use a 1:1 swap with Bonnie’s colors. 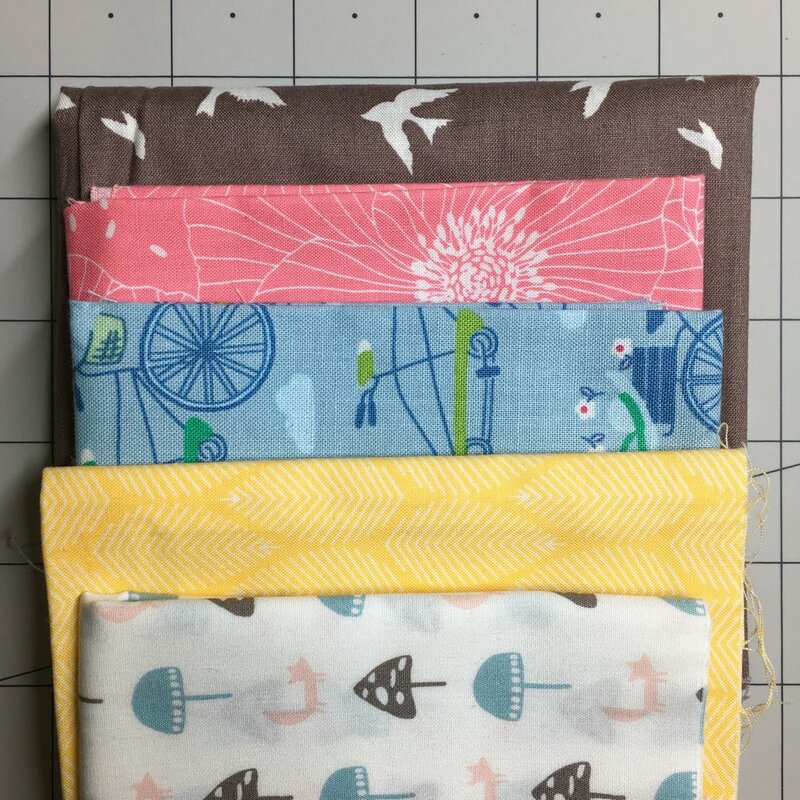 Like Bonnie’s choices, these color pulls rely more on color contrast between the four main colors and the primary value contrast is with the neutral. The left hand column is based on a triad (three colors) and uses an additional neutral (gray) as one of the cool colors. The top right uses a fifth color as a neutral. The bottom right uses gray as a neutral. To choose your own “safe” color change, select two pairs of complementary colors and add a neutral. Or, select a triad (three colors equidistant on the color wheel), and add two neutrals— one that will play as a color and one as the background. Remember that Bonnie chose COLOR to be her primary contrast in the foreground of her quilt top, and the VALUE contrast is between the foreground and the background (For those who followed the How to Choose Fabrics Series, the third form of contrast, SCALE, will create movement throughout the quilt top, but large multicolor prints should probably be avoided because of the size of traditional piecing). These alternate color ways are “riskier” because they add more value contrast and less color contrast to the quilt top foreground. 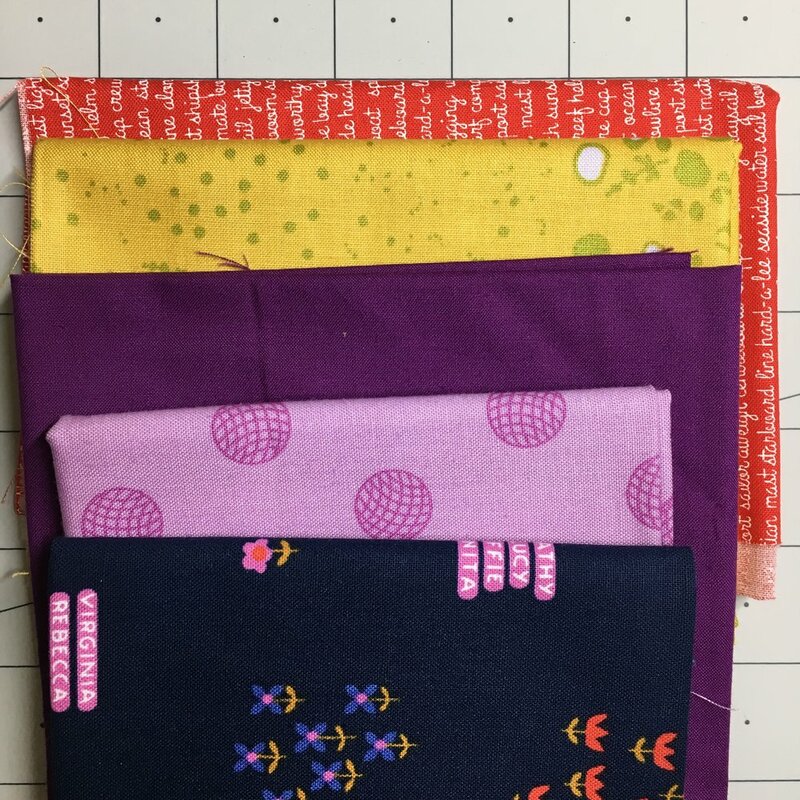 My theory is that this could create some really cool dimension, but these quilts will have a totally different feel than Bonnie’s punchy color way. I’ve been wrestling with this for weeks— the opportunities are endless! Ultimately, I decided to match Bonnie’s punchiness, but change up the colors a bit. 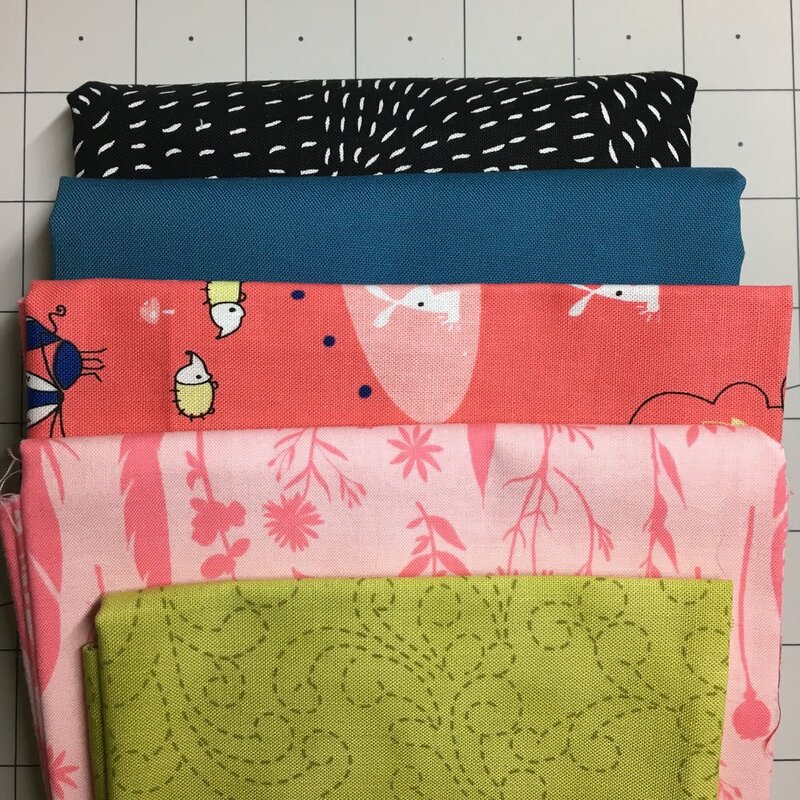 I will also be reversing the warm and cool colors so that my quilt will have more navy, aqua, and white with punches of yellow and pink. HAVE FUN with this. Use what you have, what you like. 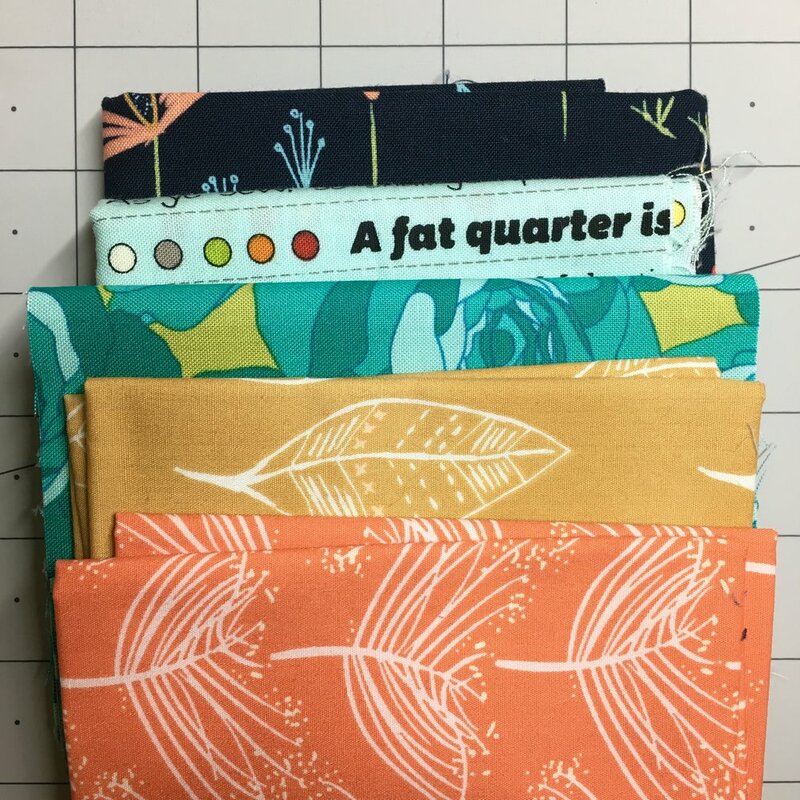 In the famous words of Ms. Frizzle: “It’s time to take chances, make mistakes, and get messy!” I can’t guarantee such and such outcome when I haven’t seen the quilt top, but I believe that if you follow the principles of color theory and contrast, you WILL make a beautiful quilt! Want to quilt along with me and the rest of the Quilting Rockstars? 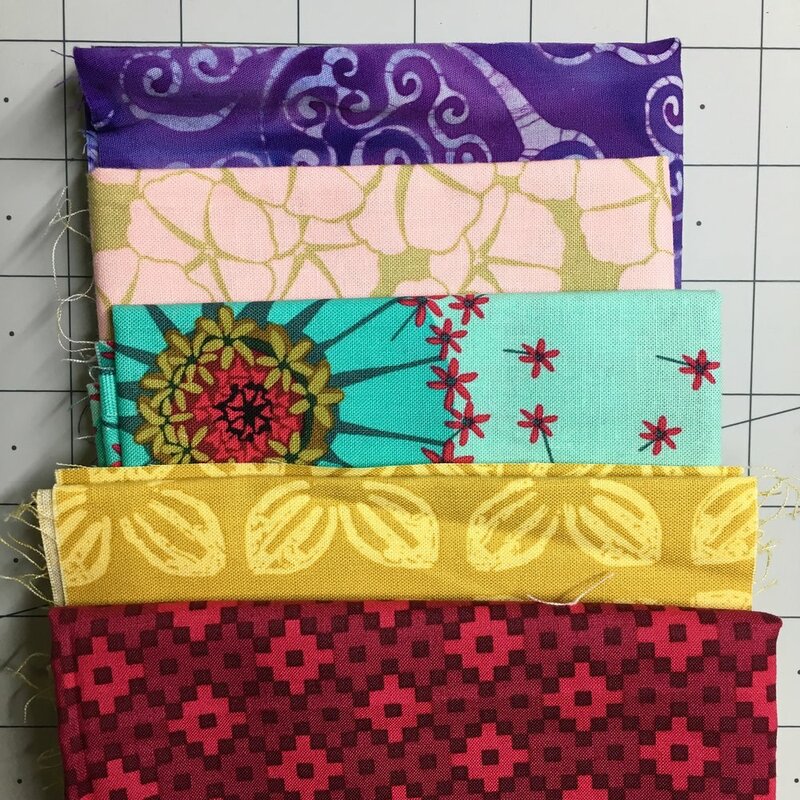 Visit Quiltville each week to get your clues then hang out with us in the Quilting Rockstars Facebook Group each Friday night at 8:30pm EST for some stitchy company (bring your own beverage 😉).